First lady Michelle Obama will have one less place to find her stylish clothes - the boutique of one of her favorite designers is shutting down her boutique, reports CBS' WBBM-TV in Chicago. Maria Pinto is one of the city's most well-known designers and a favorite of the first lady. 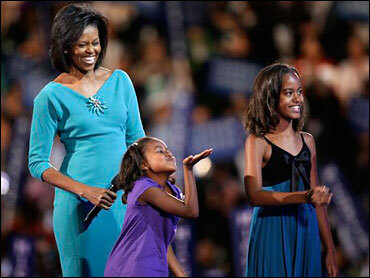 The blue dress that Obama wore to the Democratic National Convention in 2008 was one of Pinto's creations. Oprah Winfrey is another fan of her designs. Shoppers packed the boutique in Chicago's West Loop Tuesday as prices were slashed to as much as 70 percent off. The liquidation runs through Saturday. Pinto called the first lady, who was a regular customer, "every designer's dream" because of her poise and how comfortable she is with her body, according to the report. The designer said that the store was doing well but that her wholesale business lagged and led to the closing. Pinto, who had been in business for 20 years, told WLS-TV that she would be back. "I'm here. I just need to take a break," she said. "I will be in fashion for sure but in some new facet. I think the whole industry is changing."